On Wednesday 22 October, Mike Greatbatch will give a talk entitled ‘Mills, mines and factories: Ouseburn before 1850’. Mike has over fifteen years experience of researching the history of the Ouseburn and is currently working on a series of research papers for publication. He is a Committee member of the North East Labour History Society and is one of the co-ordinators of the society’s ‘People’s History of the North East project, supporting a group of volunteers at Newcastle City Library. Mike’s paper on Chartism in the Ouseburn (1838-1848) was published in North East History in 2013, and his latest research project is an examination of the Poor Law administration in Byker Township from c1820. To book for the talk, which takes place at the Corner House Hotel on Heaton Road, please contact: maria@heatonhistorygroup.org / 07763 985656 (as soon as possible to avoid disappointment!). Free for members. £2 for non members. We ask you to be in your seat by 7.15pm for a 7.30pm start so that we can give unclaimed seats to people on our reserve list. 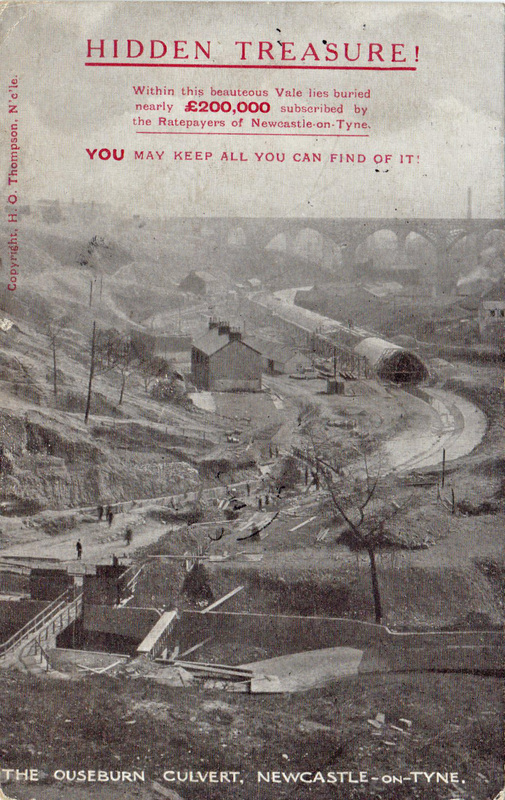 This entry was posted in Events and tagged Ouseburn, Ouseburn Bridge, Ouseburn Viaduct on August 2, 2014 by oldheaton.